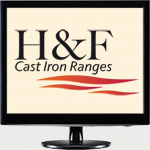 H & F Cookers are the leading specialists in the reconditioned, restored or refurbished Cast Iron Range Cookers. Timeless brands such as Aga, Rayburn, Stanley, Cleopatra and Wellstood are professionally restored to their original pristine, factory-new condition by our highly experienced craftsmen at our production facility in County Tipperary, Ireland. All H and F reconditioned cookers are built to order, matching our client’s detailed specification so we like to think we offer a personal service. We can deliver and fit your cooker anywhere in Ireland or you can collect and arrange for your own installation. We also export our refurbished cookers to many countries around the world, so please contact us for a written quotation. Fully reconditioned oil ranges, pressure jet or wick burner. Central heating or cooking only models from Stanley, Rayburn, Aga and Wellstood. Click here to see our entire selection. Fully reconditioned solid fuel range cookers, cooking only or central heating models. Stanley, Rayburn or Wellstood in a wide range of colours. Click here to see our complete selection. H&F can now offer credit terms from Flexi-Fi. This is the latest way for you to buy what you want using simple in-store finance on purchases of €80 – €15,000 to help you spread the cost. H&F can offer nationwide coverage for installation or delivery of your cooker, stove or central heating system. Our reps offer a nationwide service too so call to book a visit. Here's some magazine articles and TV programs that have featured H&F reconditioned cast iron cookers. See what the press have to say about our products and services. 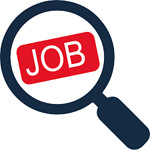 All H&F job vacancies that are currently unfilled are listed on our dedicated jobs page. Click on the icon to follow the link for full job descritions and the contact details you can use for your application.